5 copies, shipped to same address. 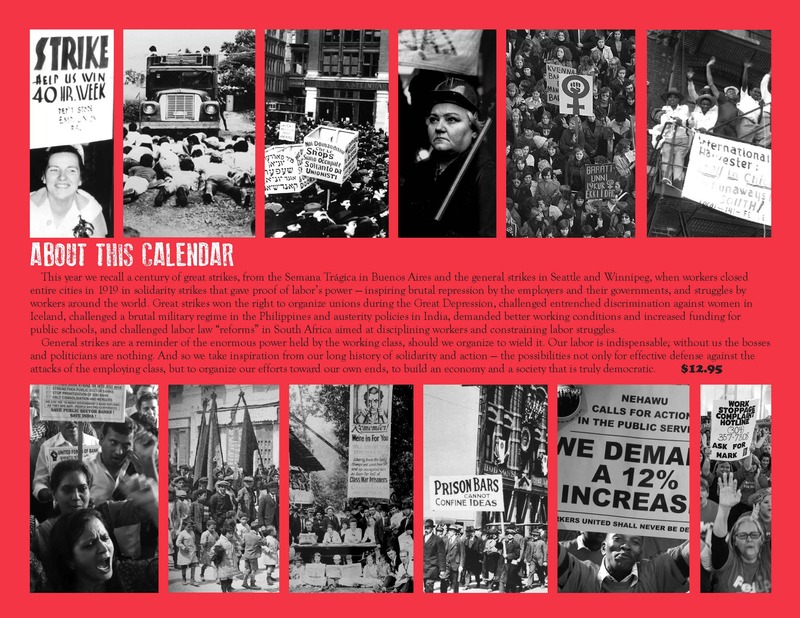 Inquire for rates for larger orders. 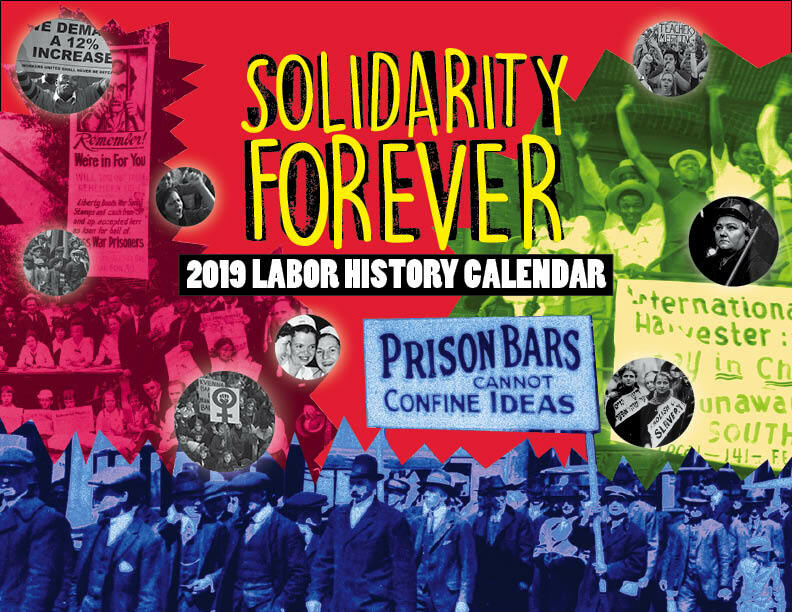 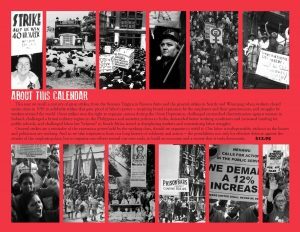 The theme of the 2019 calendar is great strikes, marking the centenary of the Seattle and Winnipeg great strikes and Argentina’s Semana Tragica.